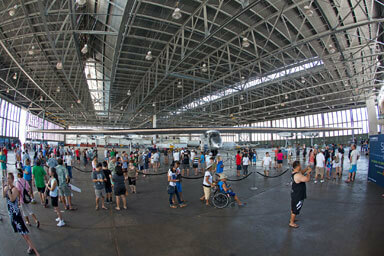 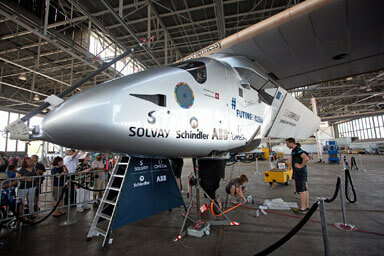 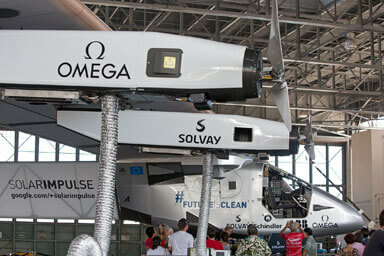 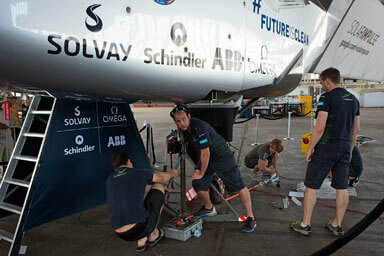 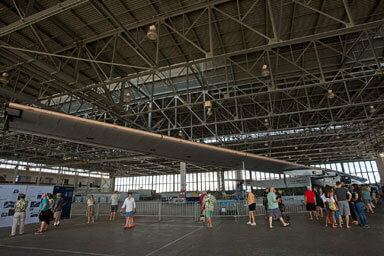 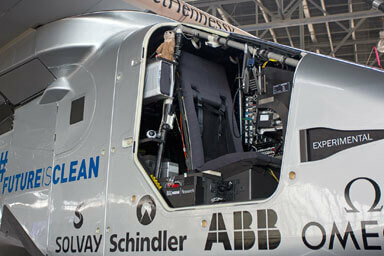 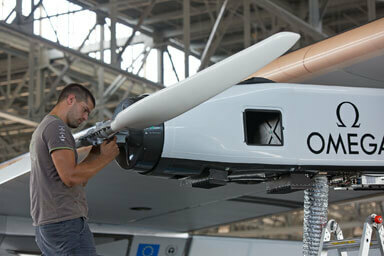 Solar Impulse is the name of a Swiss long-range experimental solar-powered aircraft project. 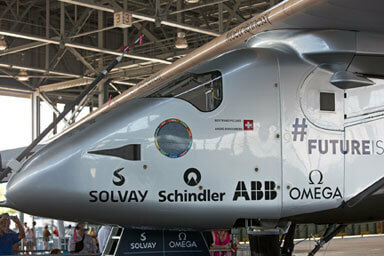 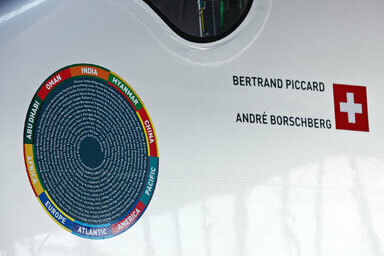 The privately financed project is led by Swiss engineer and businessman André Borschberg and Swiss psychiatrist and aeronaut Bertrand Piccard. 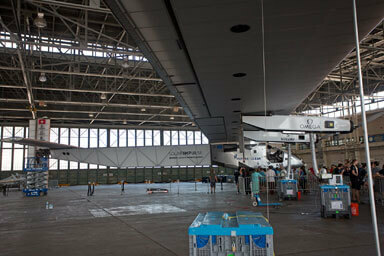 The Solar Impulse project intends to achieve the first circumnavigation of the Earth by a piloted fixed-wing aircraft using only solar power. 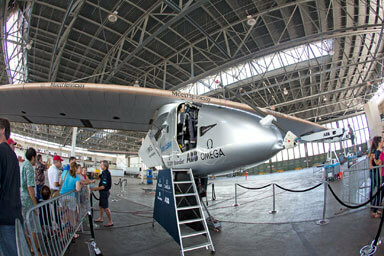 It Landed at Kalaeloa Airport, Kapolei, Hawaii on July 3rd 2015 and will soon depart for Phoenix Arizona.